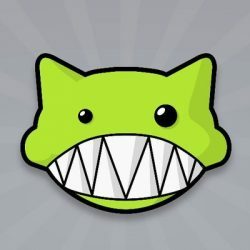 The semi-private BitTorrent tracker Demonoid returned from the ashes earlier this year and is slowly rebuilding its community. The site's founder, who's back in charge once again, is working on a new and improved version of the site and hopes Demonoid will one day return to its former glory. Demonoid has been around for well over a decade but the site is not really known for having a stable presence. Quite the opposite, the torrent tracker has a ‘habit’ of going offline for weeks or even months on end, only to reappear as if nothing ever happened. Earlier this year the site made another one if its trademark comebacks and it has been sailing relatively smoothly since then. Interestingly, the site is once again under the wings of a familiar face, its original founder Deimos. Deimos decided to take the lead again after some internal struggles. “I gave control to the wrong guys while the problems started, but it’s time to control stuff again,” Deimos told us earlier. Since the return a few months back, the site’s main focus has been on rebuilding the community and improving the site. Some may have already noticed the new logo, but more changes are coming, both on the front and backend. “The backend development is going a bit slow, it’s a big change that will allow the server to run off a bunch of small servers all over the world,” Deimos informs TorrentFreak. “For the frontend, we’re working on new features including a karma system, integrated forums, buddy list, etc. That part is faster to build once you have everything in the back working,” he adds. Deimos has been on and off the site a few times, but he and a few others most recently returned to get it back on track and increase its popularity. While the site has around eight million registered users, many of these have moved elsewhere in recent years. “I want to to see the community we had back. Don’t know if it’s possible but that’s my aim,” Deimos says, admitting that he may not stay on forever. Many torrent sites have come and gone in recent years, but they are still here today. Looking back, Demonoid has come a long way. What many people don’t know, is that it was originally a place to share demo tapes of metal bands. Hence the name DEMOnoid. “It originally started as a modified PHP based forum that allowed posting of .torrent files. At some point, we started using a full torrent indexing script written in PHP that included a tracker, and started building the first version of the indexing site it is today,” Deimos says. The site required users to have an invite to sign up, making it a semi-private tracker. This wasn’t done to encourage people to maintain a certain ratio, as some other trackers do, but mostly to keep unsavory characters away. “The invitation system was implemented to keep spammers, trolls and the like out,” Deimos says. “Originally it was due to some very problematic people who happened to have a death metal band, back in the DEMOnoid days. “We try to keep it open as often as possible but when we start to get these kinds of issues, we close it,” he adds. In recent years, the site has had quite a few setbacks, but Deimos doesn’t want to dwell on these in public. Instead, he prefers to focus on the future. While torrent sites are no longer at the center of media distribution, there will always be a place for dedicated sharing communities. Whether Demonoid will ever return to its former glory is a big unknown for now, but Deimos is sure to do his best.